Alboro Event Security NYC Queens Bronx Brooklyn Manhattan..
Want to enjoy your event and avoid worrying about safety and security? Whether it’s a party in your home or on a yacht, pub crawls, reunions, charity parties, wedding reception, high-end office parties – whatever the event let Alboro National Security’s highly qualified security staff take care of all your safety measures from crowd management and ushers to garbage pick-up, private transportation and valet service. We are a New York State Department of State Licensed security guard company in the NYC (Queens, Brooklyn, Bronx, Manhattan & Staten Island) area. Planning an event or concert? Throwing a massive party? Everything has been arranged; the food, the music, the atmosphere – how about security? Will your staff, guests and venue be safe? Murphy’s Law dictates that whatever can go wrong, will go wrong. Large numbers of people gathering together, though well-intentioned, are often a recipe for disaster and things can get out of control. That is what makes having on-site security so valuable. Using various tools and resources such as; patrolling, CATV surveillance and cameras, and strategically placed security guards – we can anticipate and prevent problems and issues from occurring that would otherwise put a damper on the party. Concerts can also be a concern, though frequently have few security problems. We only notice, however, just how important security is when something does go awry and it’s all over the news. Whether there was rioting, fights or terrible injuries, the need for security becomes all the more apparent. Even if it wasn’t in the news, doesn’t mean it all went well. Big crowds can lead to big problems, but having professional and qualified security at your event, can make all the difference – sorting out the little problems before they become big problems. It is important to organizers of events, large parties and concerts to maintain and provide safety and security. Thirty years of experience has given Alboro National Security an edge in delivering quality security through traffic control, crowd management, and anticipating where problems and issues may arise. Working with organizers, staff, promoters and the venue we strive to cover all your event security needs with few to zero incidents. We are trained to see what you may not see, resulting in less or no issues. The type of event being thrown is irrelevant security is more often than not, a necessity and can be accommodated to the scale of the event. Often the presence of security not only prevents external threats but also averts internal situations, such as rowdy guests, from escalating. The safety of your staff, guests, and protection of the property shouldn’t be compromised therefore private security for your party must be taken into consideration. Our professional staff certify that the party, even or concert runs effortlessly and efficiently, without making our presence overtly known. Whatever the event, party, or concert you are planning in New York City and area, we at Alboro National Security are ready to meet your security needs. Contact us and our expert security will make sure your event goes off without a hitch, you may not notice us, but we’ll be there keeping you, your staff, guests and property safe. 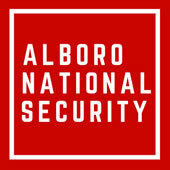 Alboro National has been a leader in security for more than 30 years.